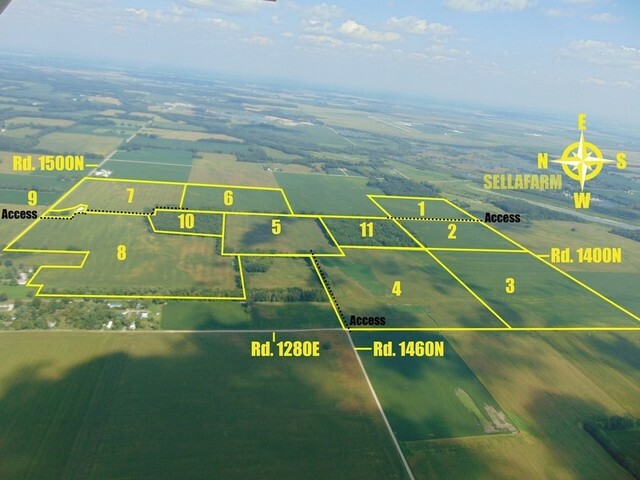 SELLAFARM, Your Team on the Ground will be selling 406+/- acres consisting of 358+/- ac. 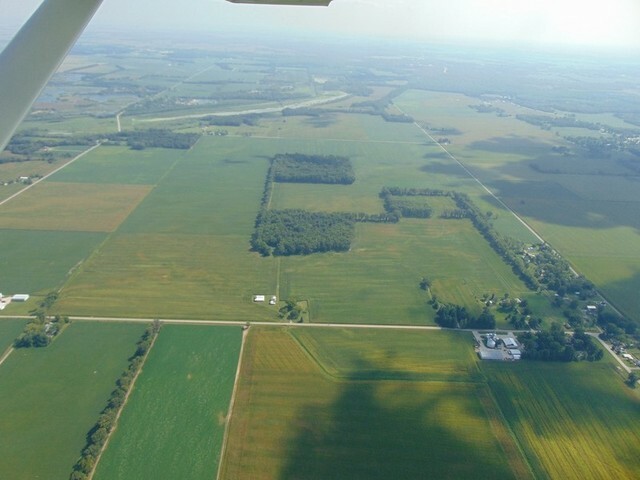 tillable of high productivity land, remainder homestead & wooded. All land is situated in Sect. 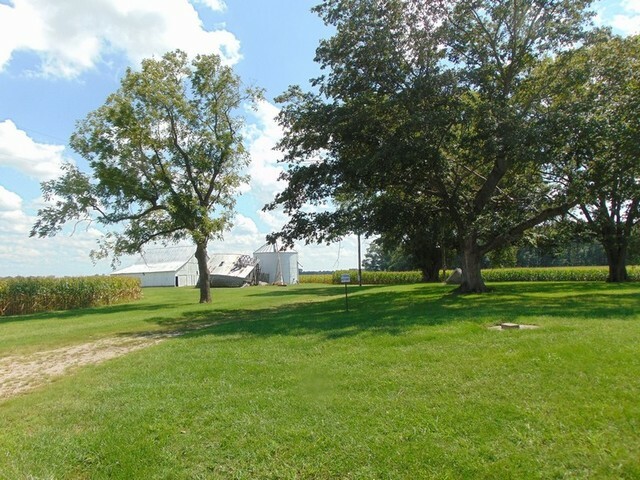 17, Bond Twp, Lawrence Co., IL offered for sale via auction! Location: 4 Mi. 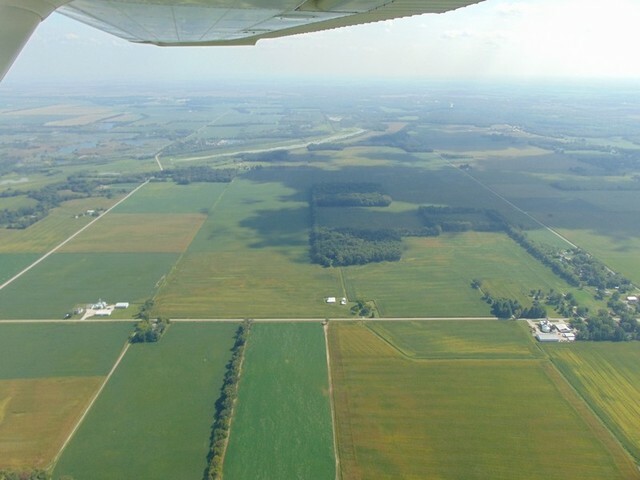 North of Lawrenceville, IL, on IL Route 1 to Co. Rd. 1400N (Blackburn School Lane), East 1 Mile to land location. 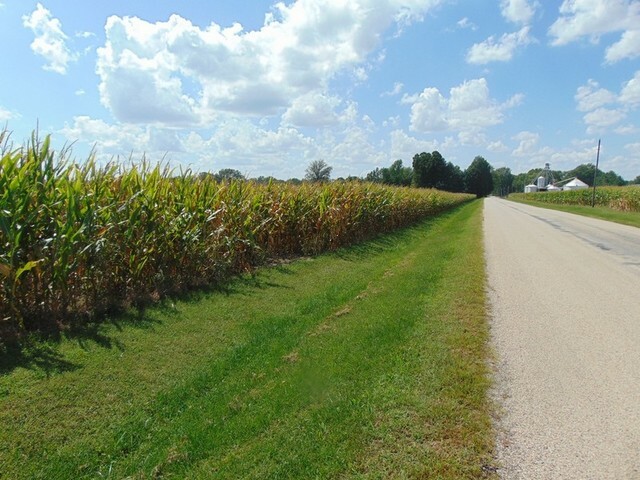 Brief Legal: Land in SW1/4 SE1/4, Section 17, Bond Township, Lawrence Co., IL. T4N-R11W. Access: Direct Access to Co. Rd. 1400N. 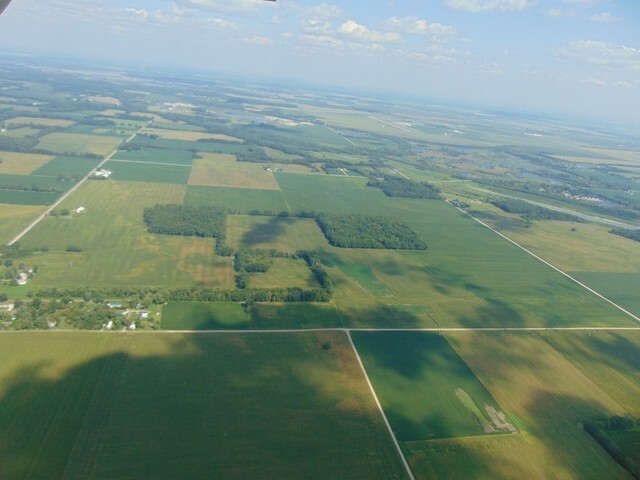 Soils:Herrick Silt Loam, 0-2% slope, 22.87 Ac., 57.2%; 184A Roby Fine Sandy Loam, 0-2% slope, 5.88 Ac., 14.7%; 131B Alvin Fine Sandy Laom, 2-4% slope, 5.11 Ac., 12.8%; 307B Iona Silt Loam, 2-4% slope, 4.25 Ac., 10.6%; 50 Virden Silty Clay Loam, 0-2% slope, 1.90 Ac., 4.7%; Weighted Productivity Index: 125.2.All NHEL. FSA Info: Farm No. 4488, Tract No. 4149. 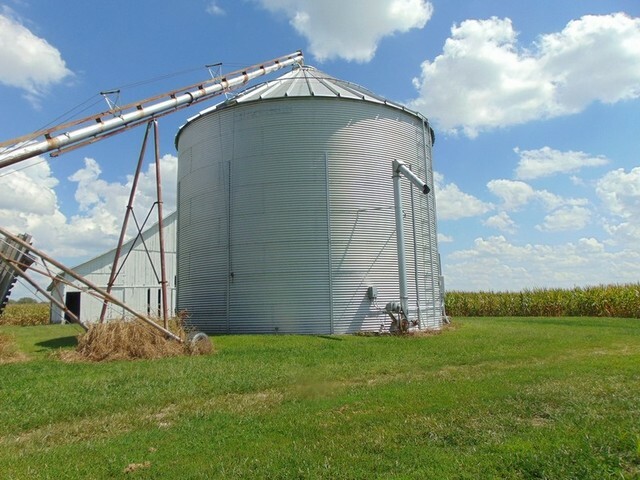 Corn Base Ac. 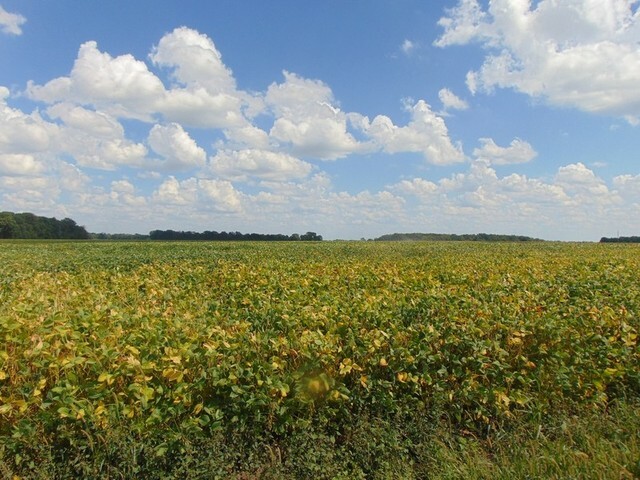 19.40, PLC yield 95; Soybean Base Ac. 16.20, PLC yield 23; Wheat Base Ac. 4.40, PLC Yield 46; Total Base Ac. 40.00. Maps & 156 Records will be posted on www.sellafarm.com under Documents Tab, view anytime. 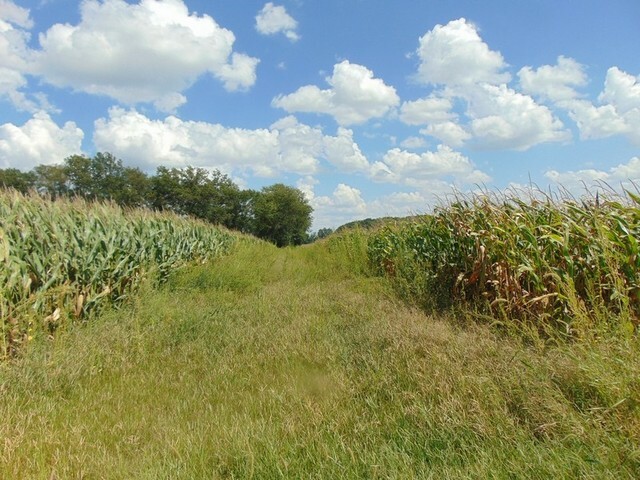 Brief Legal: East 31.5+/- Acres in SE1/4 SW1/4, Section 17, Bond Township, Lawrence Co., IL. T4N-R11W. 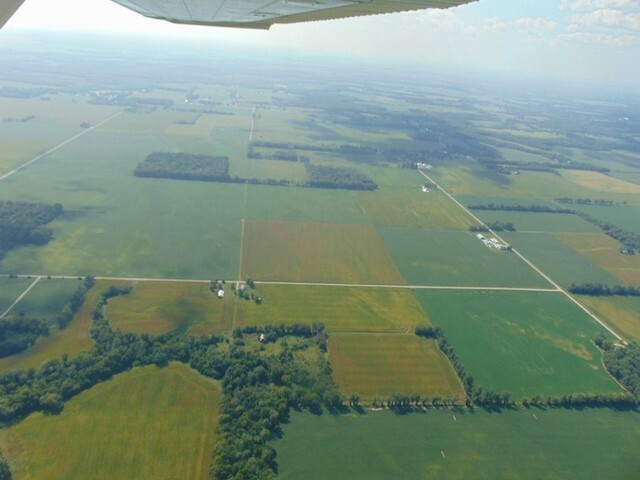 Soils: 307B Iona Silt Loam, 0-2% slope, 13.23 Ac., 42.3%; 112 Cowden Silt Loam, 0-2% slope, 9.00 Ac., 28.8%; 46 Herrick Silt Loam, 0-2% slope, 7.21 Ac., 23.0%; 50 Virden Silty Clay Loam, 0-2% slope, 1.02 Ac., 3.3%; 184A Roby Fine Sandy Loam, 0-2% slope, .83 Ac., 2.7%; Weighted Productivity Index: 121.1.All NHEL. FSA Info: Farm No. 4490, Tract No. 4150. 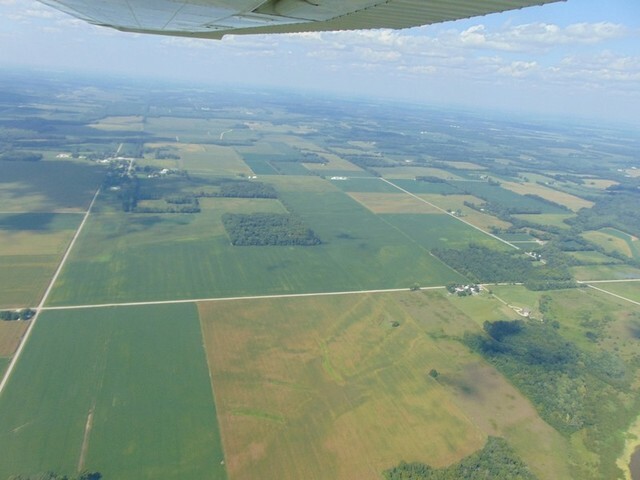 Corn Base Ac. 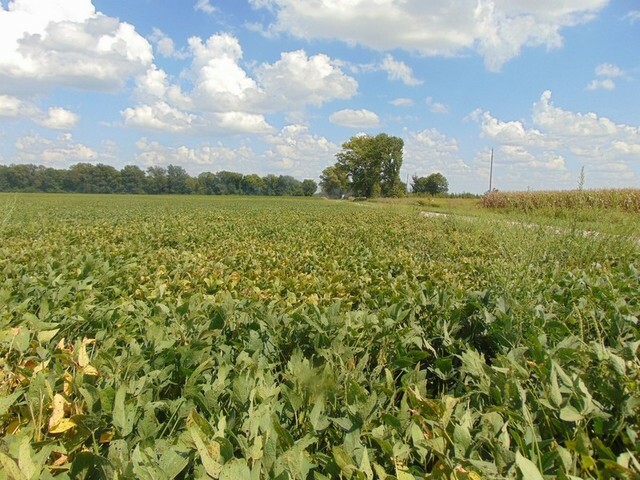 86.90, PLC yield 118; Soybean Base Ac. 65.06, PLC yield 43; Wheat Base Ac. 21.05, PLC Yield 44; Total Base Ac. 173.01. Please Note: This includes totals for Tracts 2, 3, 4, 5 & 11. 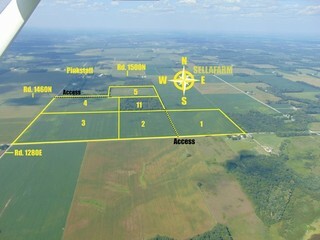 Maps & 156 Records will be posted on www.sellafarm.com under Documents Tab, view anytime. 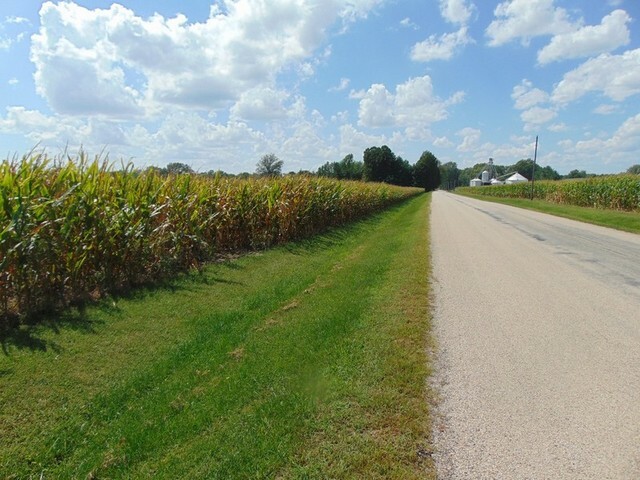 Brief Legal: SW1/4 SW1/4, Section 17, Bond Township, Lawrence Co., IL. T4N-R11W. Access: Direct Access to Co. Rd. 1400N on South & Co. Rd. 1280E on West. 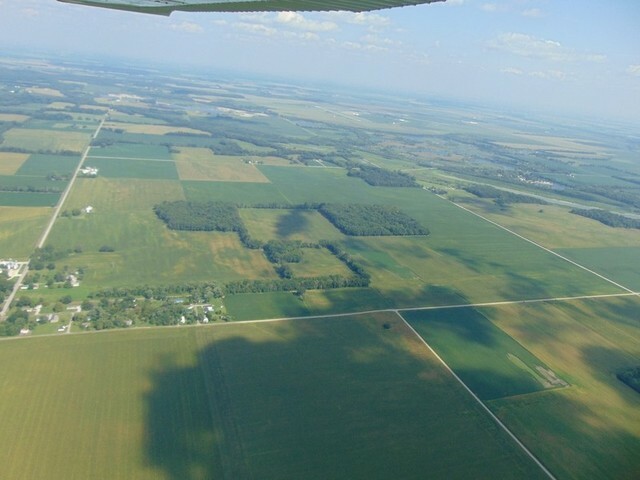 Soils: 46 Herrick Silt Loam, 0-2% slope, 20.24 Ac., 38.7%; 50 Virden Silty Clay Loam, 0-2% slope, 15.83 Ac., 30.3%; 307B Iona Silt Loam, 0-2% slope, 13.33 Ac., 25.5%; 112 Cowden Silt Loam, 0-2% slope, 2.91 Ac., 5.6%; Weighted Productivity Index: 128.6.All NHEL. 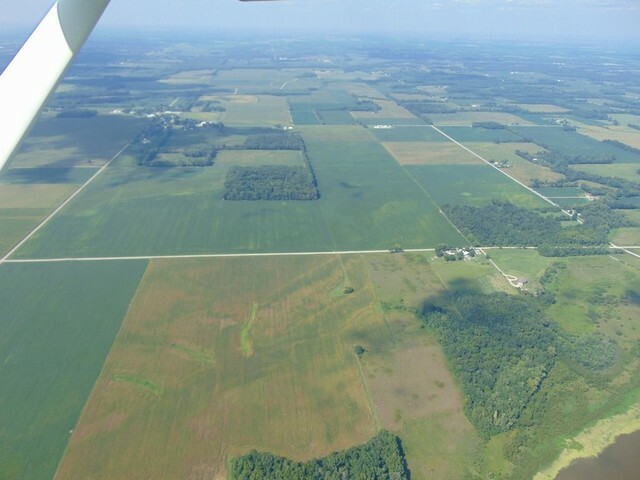 Tract 4 – 50.75+/- Acres, 50.02+/- Acres Tillable, High Productivity of 127.3. Location: 4 Mi. 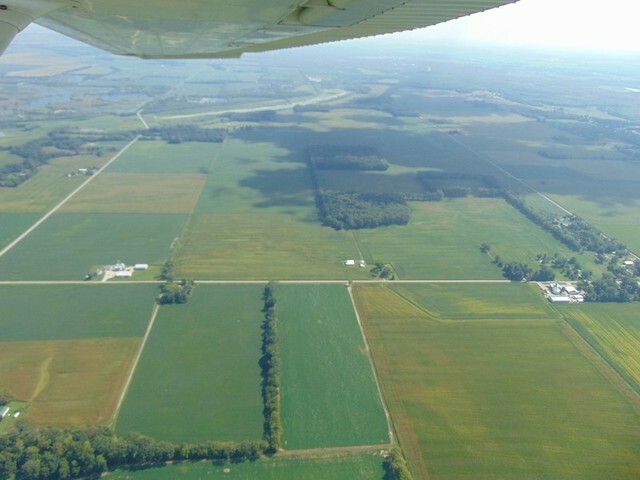 North of Lawrenceville, IL, on IL Route 1 to Co. Rd. 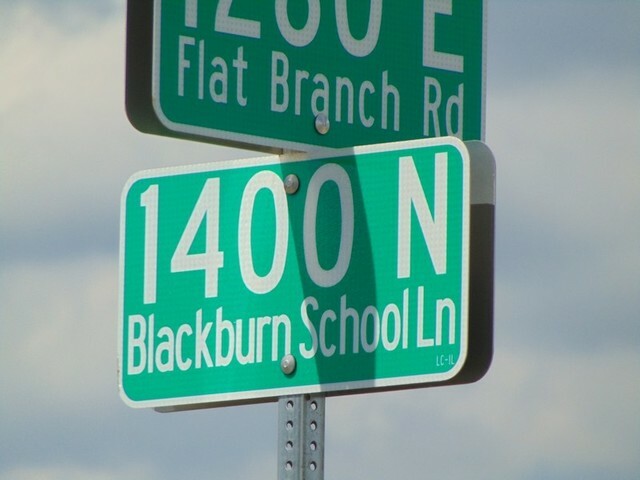 1400N (Blackburn School Lane), East .75 Mile to Co. Rd. 1280E, North .25 Mile to land location -or- 4.6 Mi. 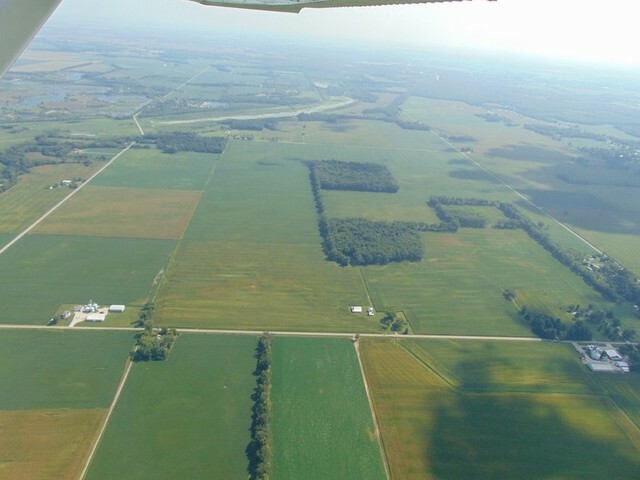 North of Lawrenceville, IL on IL Route 1 to Co. Rd. 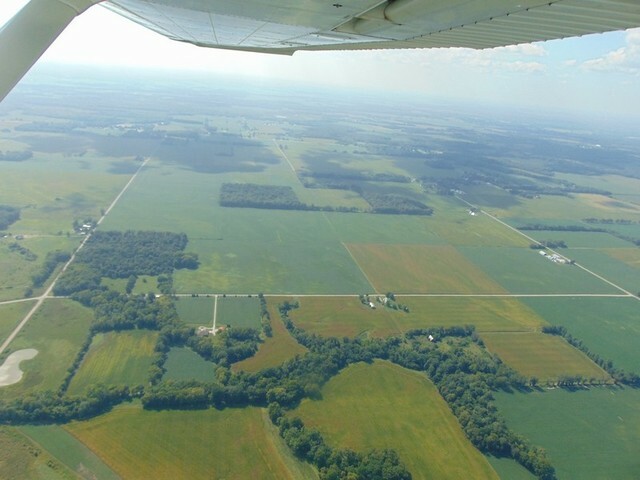 1460N, West .75 Mile to land location. 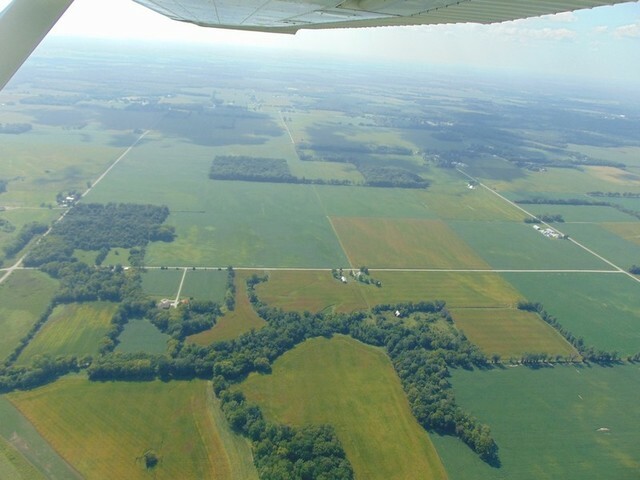 Brief Legal: NW1/4 SW1/4, Section 17, Bond Township, Lawrence Co., IL. T4N-R11W. Access: Direct Access to Co. Rd. 1280E. 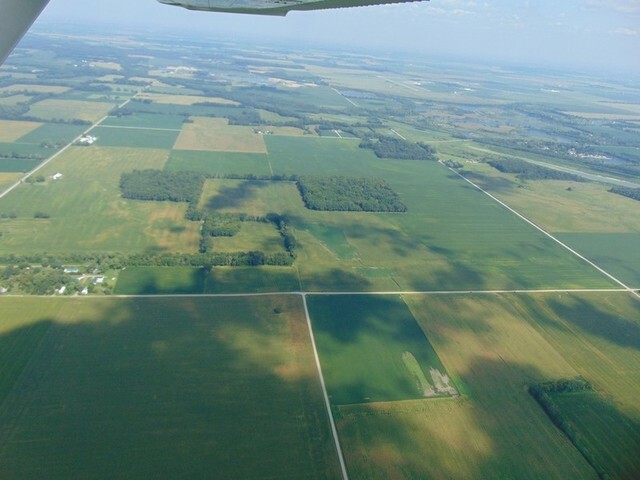 Soils: 50 Virden Silty Clay Loam, 0-2% slope, 20.90 Ac., 41.5%; 307B Iona Silt Loam, 0-2% slope, 12.68 Ac., 25.2%; 46 Herrick Silt Loam, 0-2% slope, 10.23 Ac., 20.3%; 184A Roby Fine Sandy Loam, 0-2% slope, 3.31 Ac., 6.6%; 112 Cowden Silt Loam, 0-2% slope, 3.02 Ac., 6.0%; 184B Roby Fine Sandy Loam, 2-4% slope, .19 Ac., .40%; Weighted Productivity Index: 127.3.All NHEL. 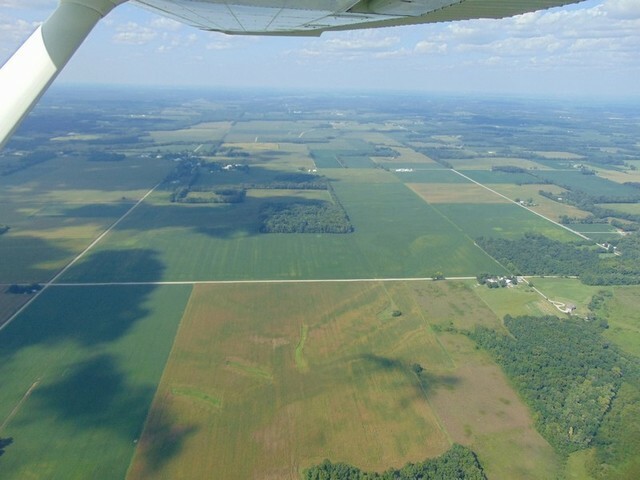 Tract 5 – 34.5+/- Acres, 33+/- Acres Tillable, High Productivity of 123.3. Location: 4 Mi. 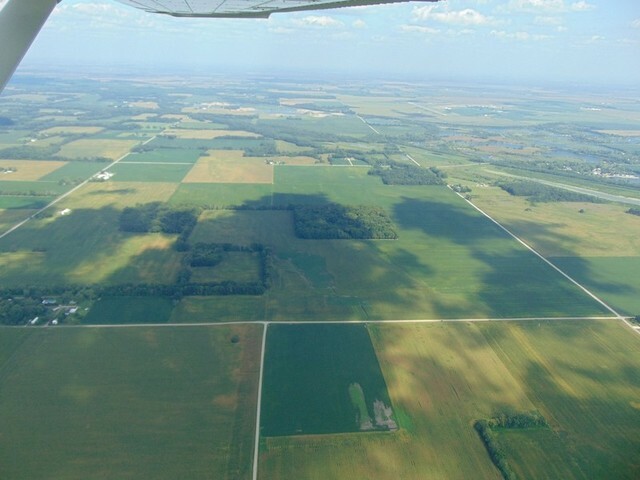 North of Lawrenceville, IL, on IL Route 1 to Co. Rd. 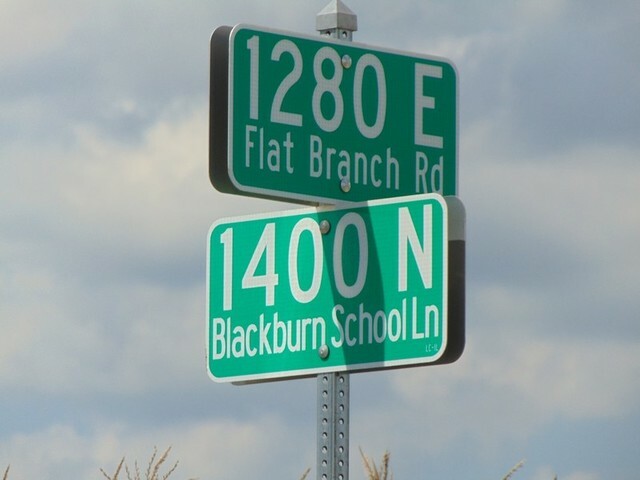 1400N (Blackburn School Lane), East .75 Mile to Co. Rd. 1280E, North .25 Mile to entrance -or- 4.6 Mi. North of Lawrenceville, IL on IL Route 1 to Co. Rd. 1460N, West .75 Mile to entrance. 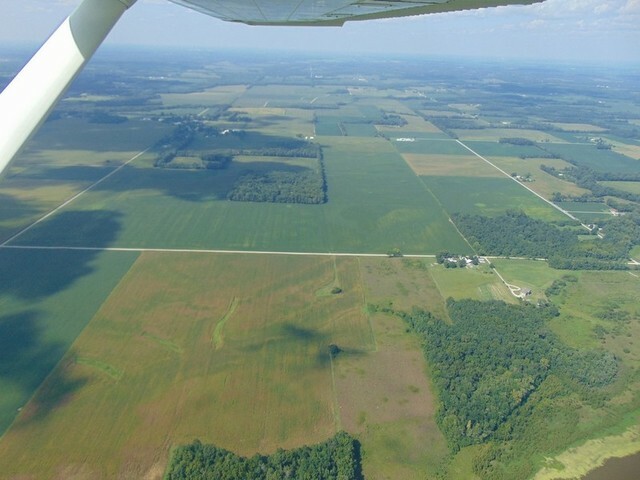 Brief Legal: SE1/4 NW1/4, also part of NE1/4 SW1/4 Section 17, Bond Township, Lawrence Co., IL. T4N-R11W. Access: Access to Co. Rd. 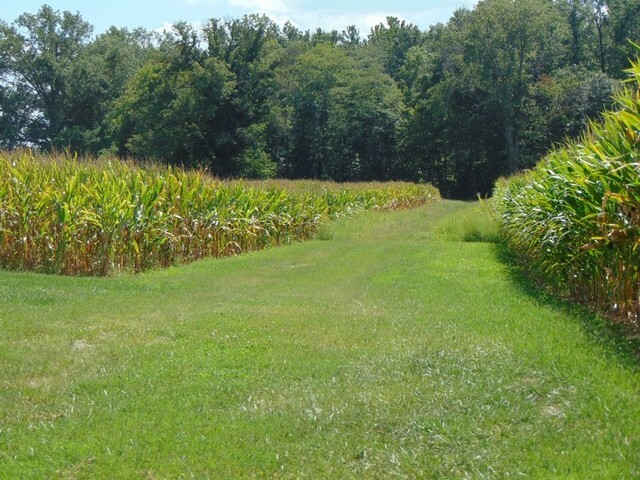 1280E via 30 foot lane along North edge of Tract 4 using existing farm lane. Please Note: Buyer of Tract 5 will have ownership of lane. 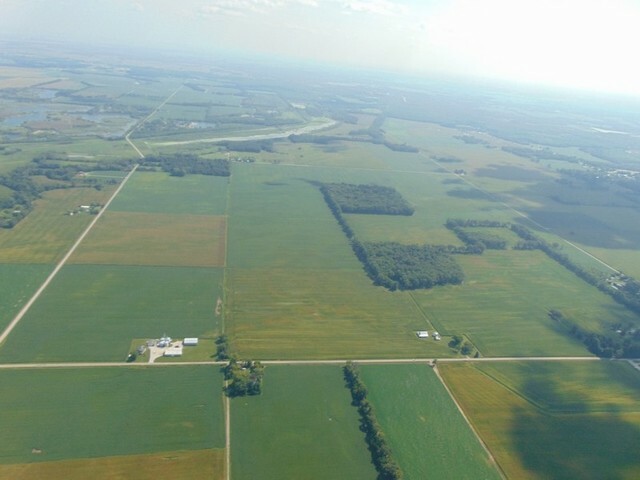 Soils: 46 Herrick Silt Loam, 0-2% slope, 13.57 Ac., 39.2%; 184A Roby Fine Sandy Loam, 0-2% slope, 8.26 Ac., 23.9%; 200 Orio Sandy Loam, 5.43 Ac., 15.7%; 50 Virden Silty Clay Loam, 0-2% slope, 4.38 Ac., 12.7%; 308B Alford Silt Loam, 2-5% slope, 1.57 Ac., 4.5%; 112 Cowden Silt Loam, 0-2% slope, 1.38 Ac., 4.0%; Weighted Productivity Index: 123.2.All NHEL. 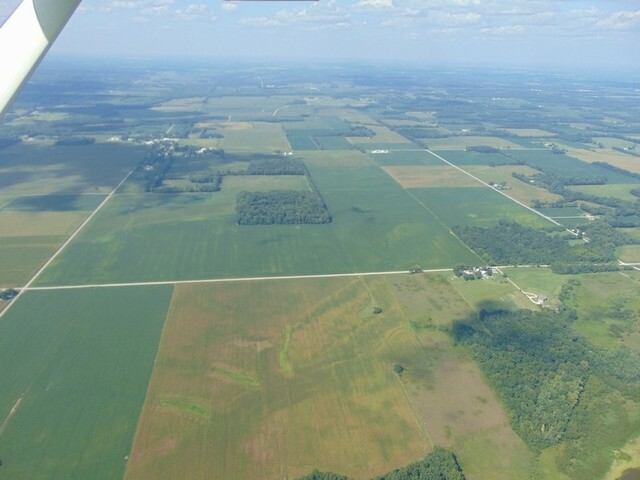 Tract 6 – 41+/- Acres, 40.75+/- Acres Tillable, High Productivity of 124.5. Location: 5.5 Mi. 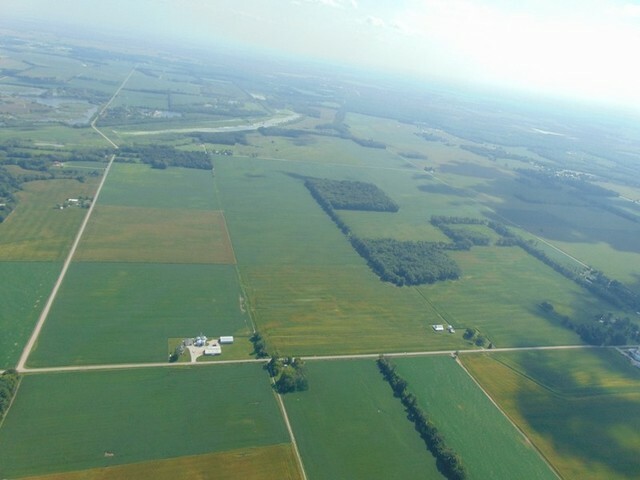 North of Lawrenceville, IL, on IL Route 1 to Co. Rd. 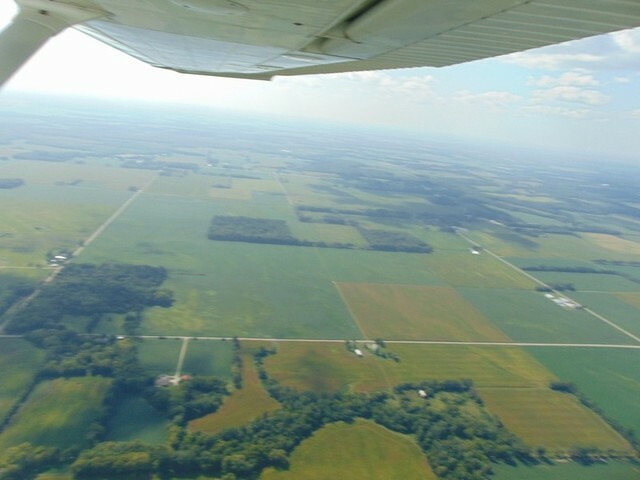 1540N (Pinkstaff, IL Turnoff), follow East 1 Mile to land location. 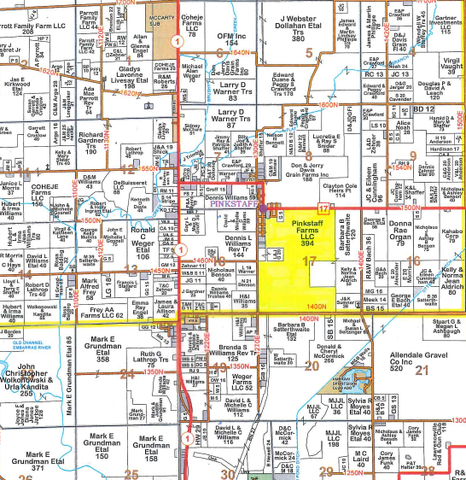 Brief Legal: SW1/4 NE1/4, Section 17, Bond Township, Lawrence Co., IL. T4N-R11W. 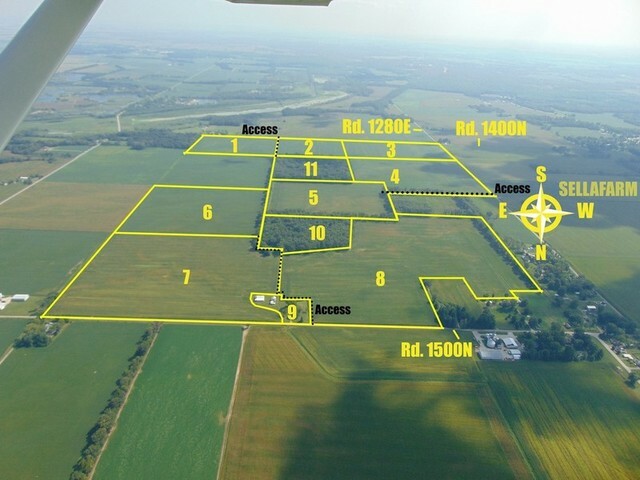 Access: If sold separate, Access to Co. Rd. 1500N via 30 foot lane starting at the NW corner of Tract 6, following West boundary of Tract 7 to NE of Tract 10 then following North boundary of Tract 10 to existing farm lane to South side of Tract 9, then following South edge of Tract 9 to SW of Tract 9, then North to Co. Rd. 1500N (good hard surface road). See aerials for sketch. 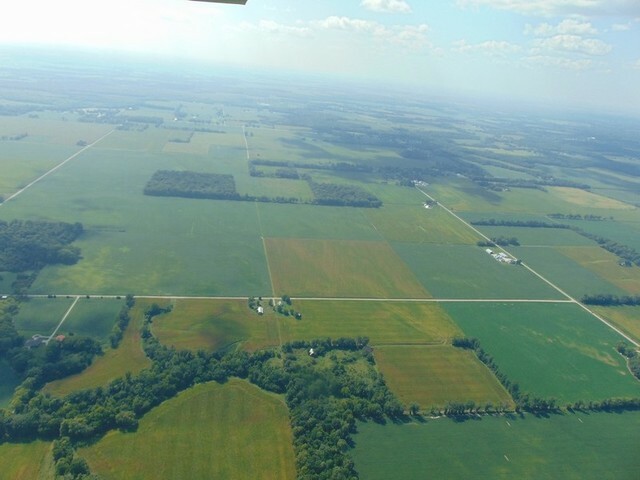 Soils: 46 Herrick Silt Loam, 0-2% slope, 19.83 Ac., 48.7%; 200 Orio Sandy Loam, 9.64 Ac., 23.7%; 184A Roby Fine Sandy Loam, 0-2% slope, 5.18 Ac., 12.7%; 50 Virden Silty Clay Loam, 0-2% slope, 4.82 Ac., 11.8%; 112 Cowden Silt Loam, 0-2% slope, 1.28 Ac., 3.1%; Weighted Productivity Index: 124.5.All NHEL. FSA Info: Farm No. 4488, Tract No. 4148. Corn Base Ac. 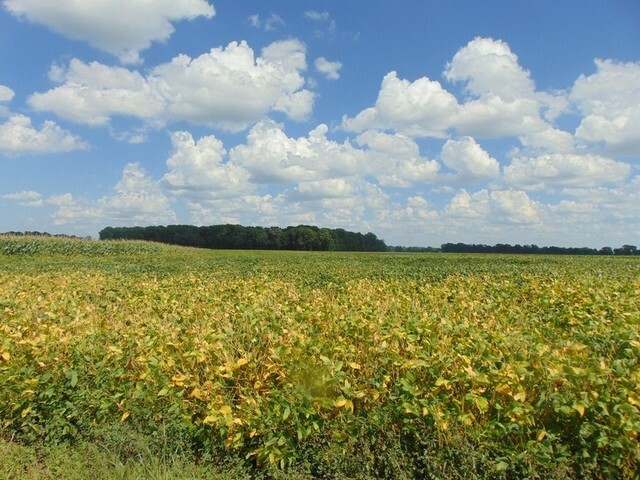 42.20, PLC yield 95; Soybean Base Ac. 34.70, PLC yield 23; Wheat Base Ac. 9.60, PLC Yield 46; Total Base Ac. 86.50. Please Note: This includes totals for Tracts 6 & 7. 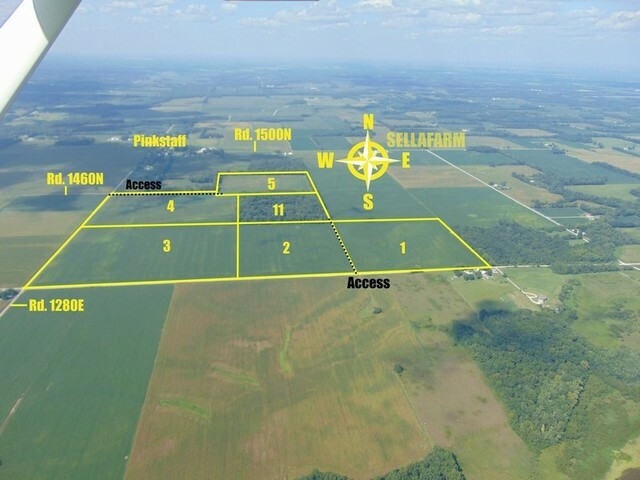 Maps & 156 Records will be posted on www.sellafarm.com under Documents Tab, view anytime. 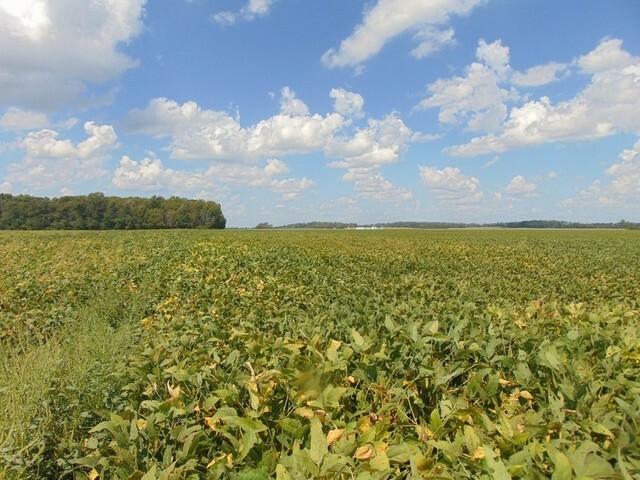 Tract 7 – 46+/- Acres, 45.75+/- Acres Tillable, High Productivity of 119.4. 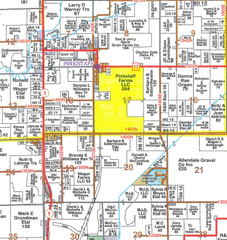 Brief Legal: NW1/4 NE1/4, Section 17, Bond Township, Lawrence Co., IL. T4N-R11W. Access: Direct Access to Co. Rd. 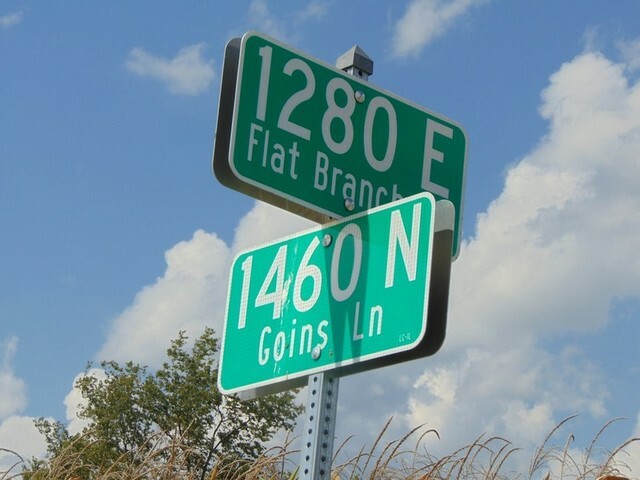 1500N, good hard surface road. 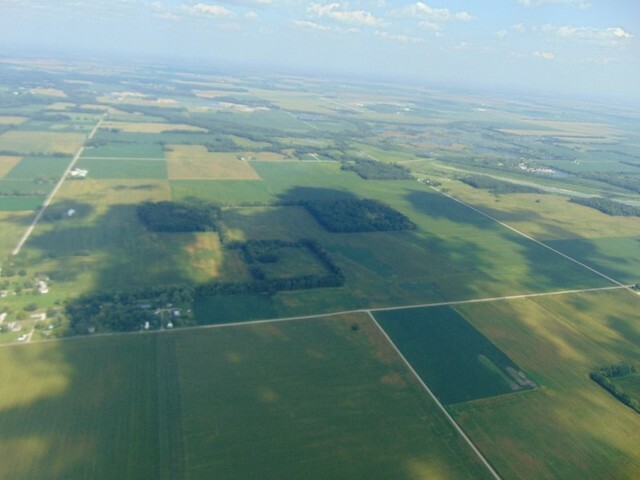 Soils: 184A Roby Fine Sandy Loam, 0-2% slope, 19.14 Ac., 42.0%; 50 Virden Silty Clay Loam, 0-2% slope, 13.76 Ac., 30.2%; 131B Alvin Fine Sandy Loam, 2-4% slope, 6.40 Ac., 14.0%; 112 Cowden Silt Loam, 0-2% slope, 4.68 Ac., 10.3%; 46 Herrick Silt Loam, 0-2% slope, 1.39 Ac., 3.1%; 200 Orio Sandy Loam, .19 Ac., .40%; 112 Cowden Silt Loam, 0-2% slope, 1.28 Ac., 3.1%; Weighted Productivity Index: 119.4.All NHEL. 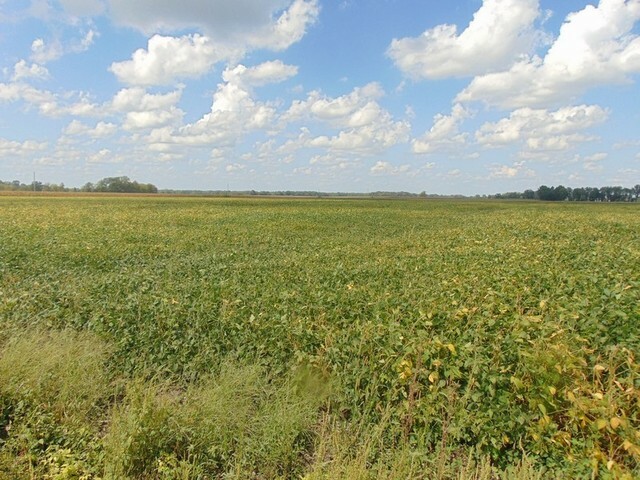 Tract 8 – 66.5+/- Acres, 64.77+/- Acres Tillable, High Productivity of 123.8. 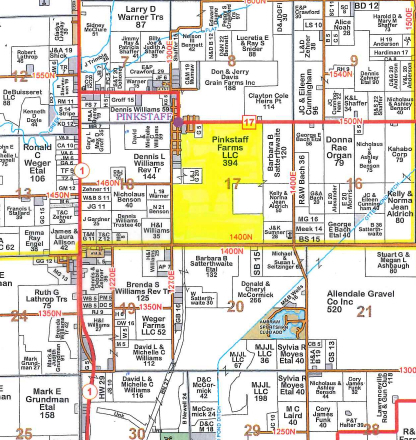 Brief Legal: Most of NW1/4, Section 17, Bond Township, Lawrence Co., IL. T4N-R11W. 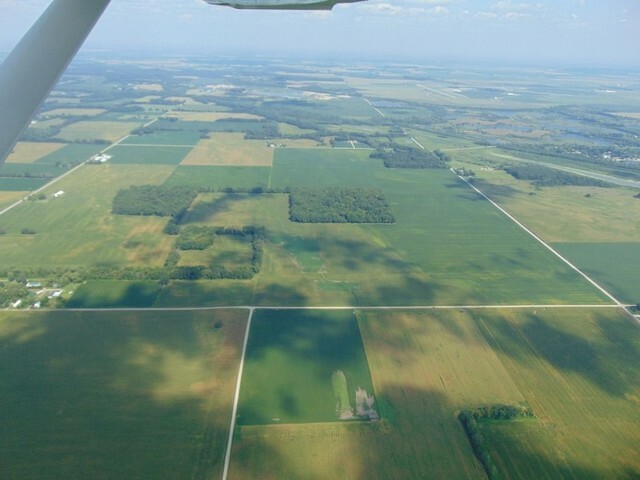 Soils: 50 Virden Silty Clay Loam, 0-2% slope, 19.90 Ac., 30.0%; 46 Herrick Silt Loam, 0-2% slope, 12.57 Ac., 18.9%; 184A Roby Fine Sandy Loam, 0-2% slope, 11.37 Ac., 17.1%; 307B Iona Silt Loam, 2-4% slope, 9.21 Ac., 13.9%; 112 Cowden Silt Loam, 0-2% slope, 7.71 Ac., 11.6%; 131B Alvin Fine Sandy Loam, 2-4% slope, 3.47 Ac., 5.2%; 131A Alvin Fine Sandy Loam, 0-2% slope, 2.12 Ac., 3.2%; 308B Alford Silt Loam, 2-5% slope, .07 Ac., .10%; Weighted Productivity Index: 123.8.All NHEL. FSA Info: Farm No. 4490, Tract No. 788. Corn Base Ac. 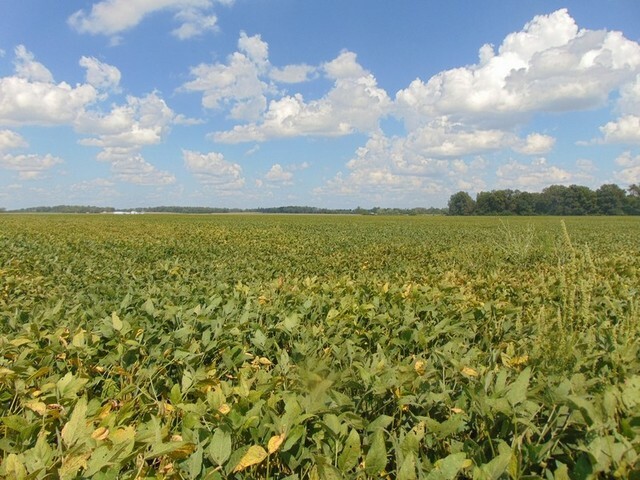 33.75, PLC yield 118; Soybean Base Ac. 25.26, PLC yield 43; Wheat Base Ac. 8.18, PLC Yield 44; Total Base Ac. 67.19. 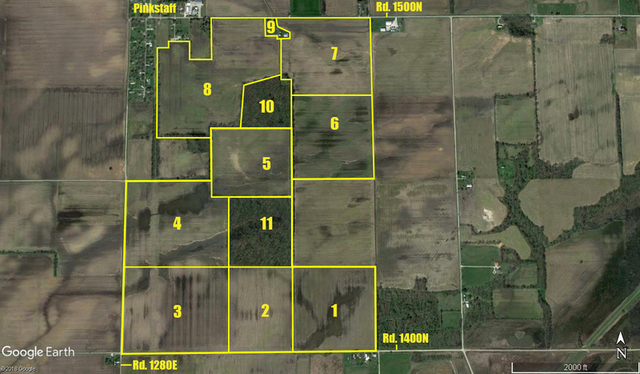 Please Note: This includes totals for Tracts 8 & very small fractional acre of Tract 7. Maps & 156 Records will be posted on www.sellafarm.com under Documents Tab, view anytime. 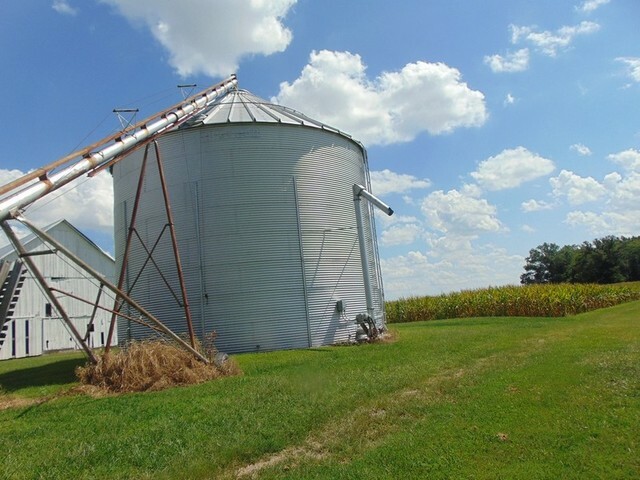 Tract 9 – 2+/- Acres, Homestead w/ Barn & Grain Bin, High Productivity of 128.8. Most All tillable. 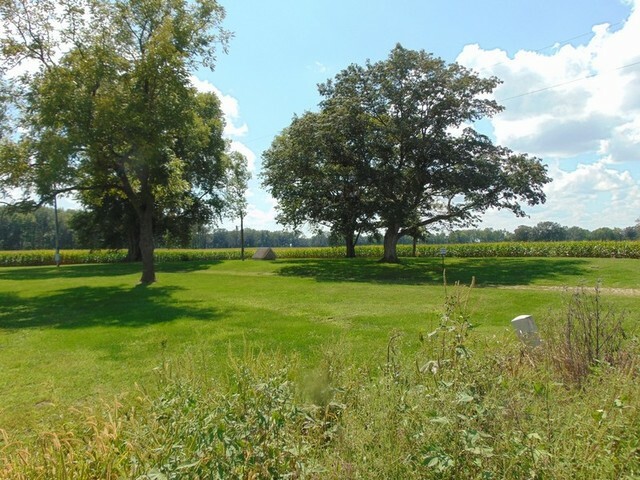 Building Site Potential as the property has mature trees, vintage barns & outbuildings, also grain bin. 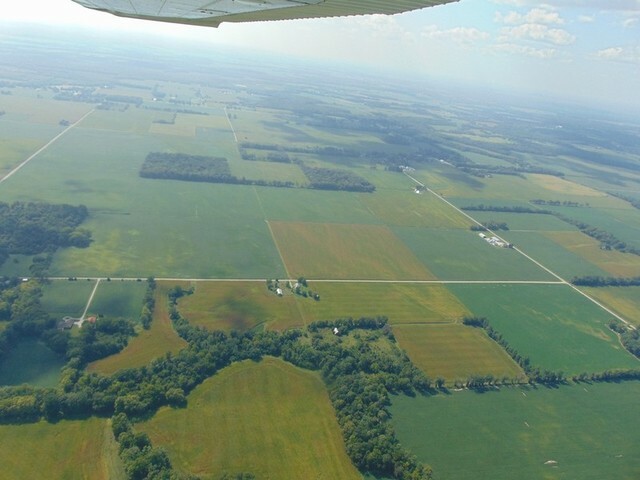 Brief Legal: Part of the NE1/4 NW1/4, Section 17, Bond Township, Lawrence Co., IL. T4N-R11W. 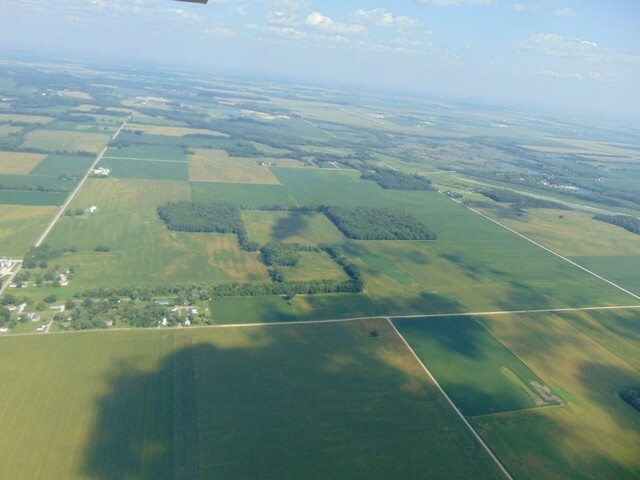 Soils: 46 Herrick Silt Loam, 0-2% slope, .89 Ac., 46.4%; 112 Cowden Silt Loam, 0-2% slope, .56 Ac., 29.2%; 50 Virden Silty Clay Loam, 0-2% slope, .47 Ac., 24.5%; Weighted Productivity Index: 128.8.All NHEL. 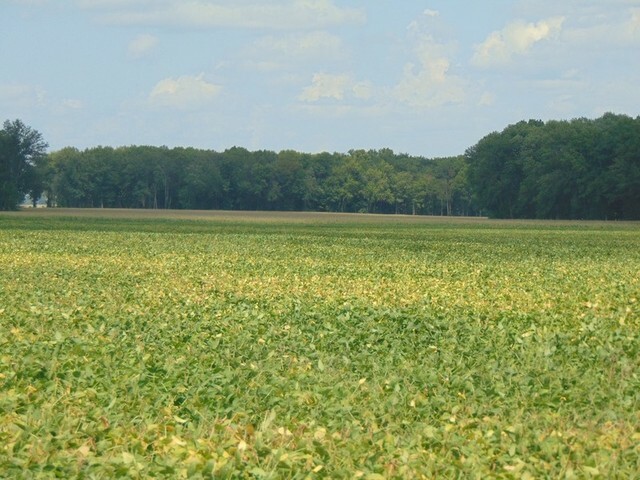 FSA Info: Part of Farm No. 4488, Tract No. 4148. Maps & 156 Records will be posted on www.sellafarm.com under Documents Tab, view anytime. 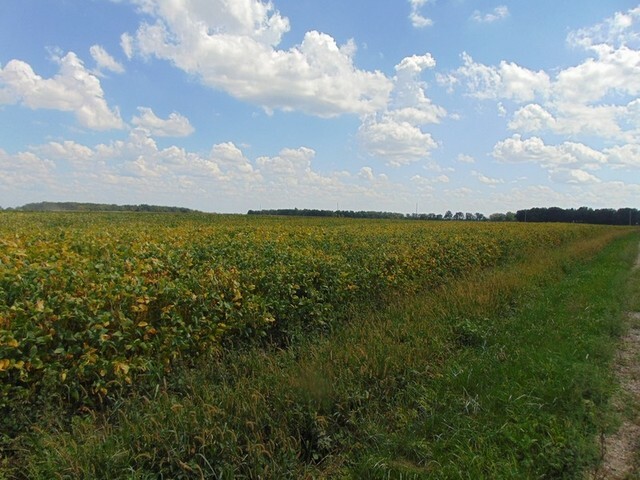 Tract 10 – 15.5+/- Acres, Currently All Wooded/Timber, High Productivity of 112.4. Most All Wooded. 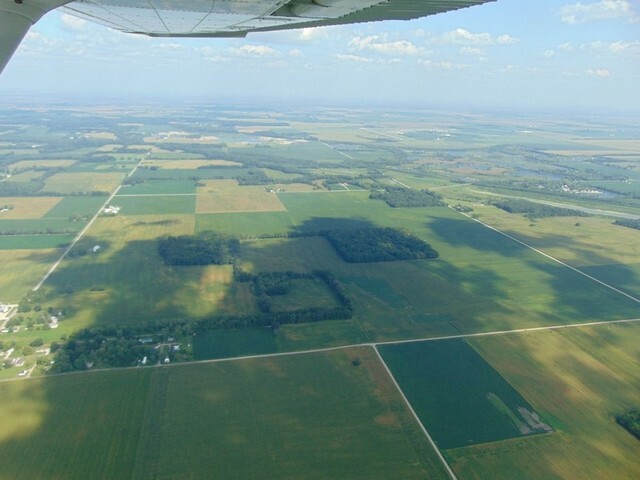 Mature trees enable recreational use for Whitetail Hunting or Timber Value. Consistent deer sightings throughout the entire year & mature timber. 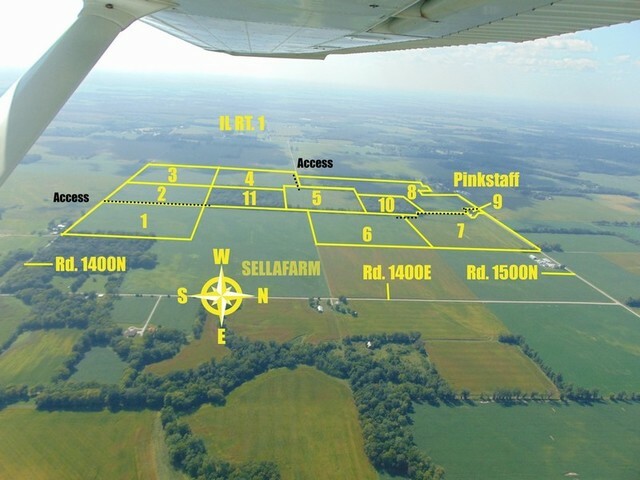 Access: If sold separate, Access to Co. Rd. 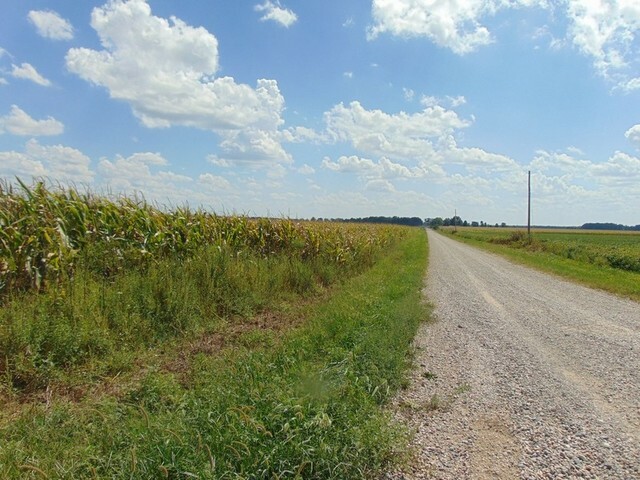 1500N via 30 foot lane via existing farm lane to South side of Tract 9, then following South edge of Tract 9 to SW of Tract 9, then North to Co. Rd. 1500N (good hard surface road). See aerials for sketch. 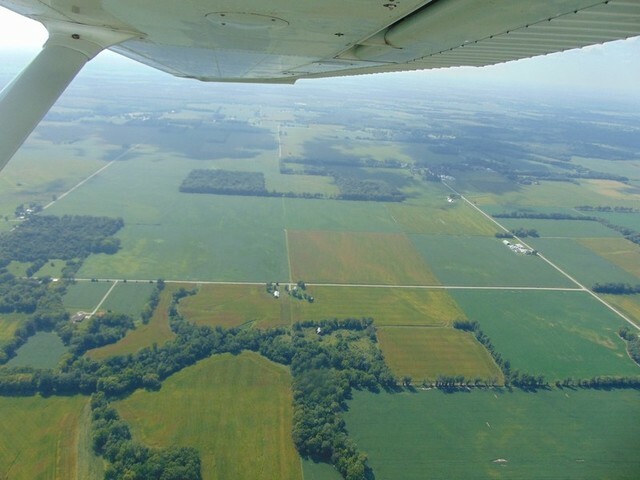 Soils: 184A Roby Fine Sandy Loam, 0-2% slope, 9.29 Ac., 61.7%; 200 Orio Sandy Loam, 2.45 Ac., 16.3%; 307B Iona Silt Loam, 2-4% slope, 1.94 Ac., 12.9%; 308B Alford Silt Loam, 2-5% slope, 1.29 Ac., 8.6%; 131B Alvin Fine Sandy Loam, 2-4% slope, .09 Ac., .60%; Weighted Productivity Index: 112.4.All NHEL. 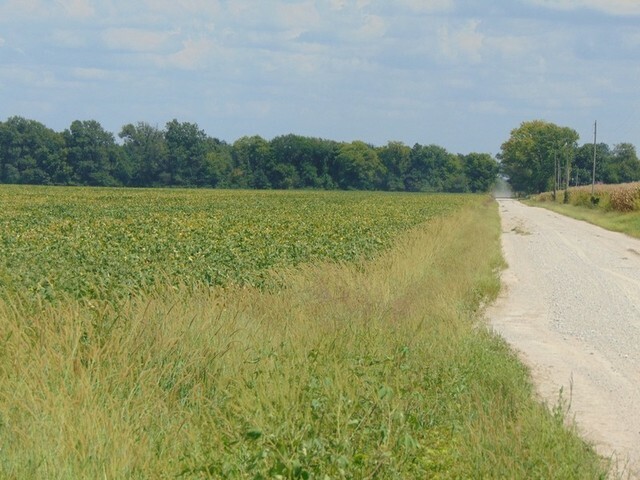 FSA Info: Part of Farm No. 4490, Tract No. 788. Maps & 156 Records will be posted on www.sellafarm.com under Documents Tab, view anytime. 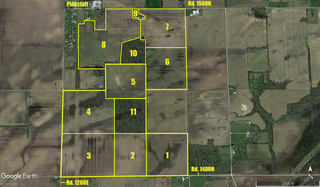 Tract 11 – 25.5+/- Acres, Currently All Wooded/Timber, High Productivity of 128.1. Location:4 Mi. 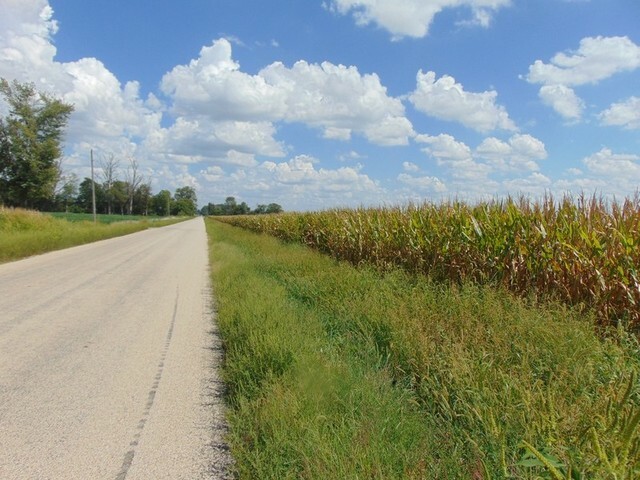 North of Lawrenceville, IL, on IL Route 1 to Co. Rd. 1400N (Blackburn School Lane), East 1 Mile to land location. Brief Legal: Part of the NE1/4 SW1/4, Section 17, Bond Township, Lawrence Co., IL. T4N-R11W. 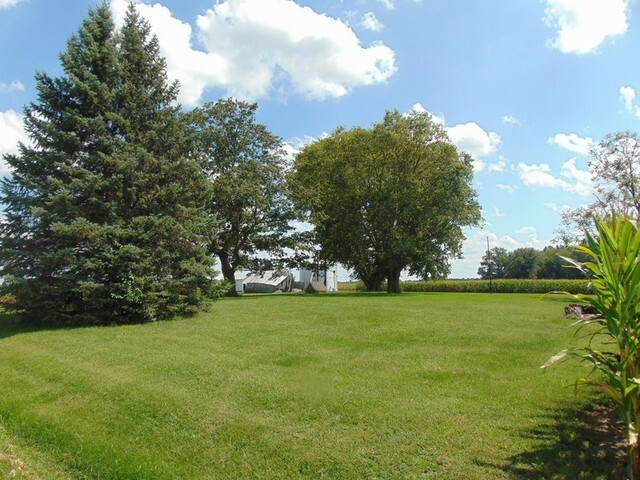 Access: If sold separate, Access to Co. Rd. 1400N via 30 foot lane at SE corner of Tract 11, running between Tracts 1 & 2. 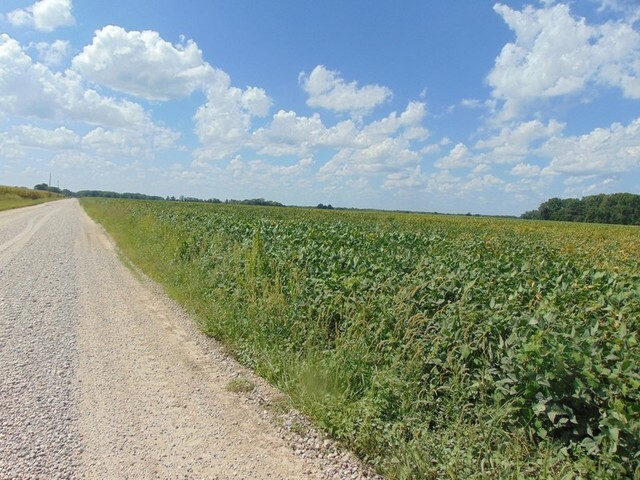 Buyer of Tract 11 will own lane. 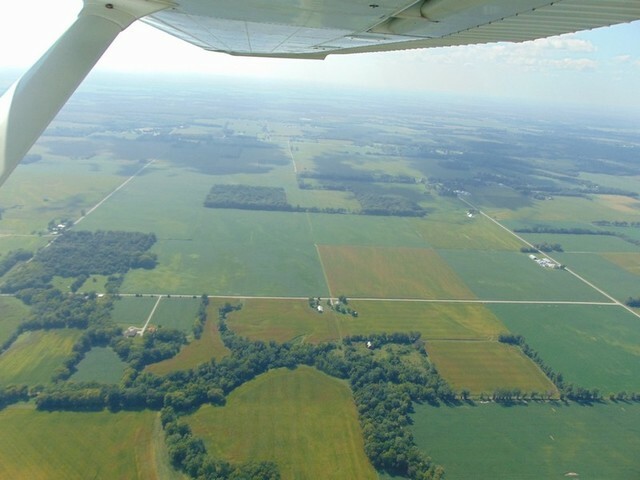 See aerials for sketch. 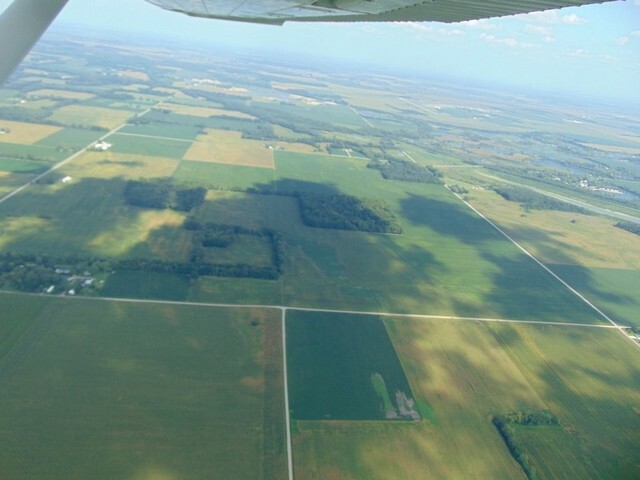 Soils: 46 Herrick Silt Loam, 0-2% slope, 11.72 Ac., 45.8%; 50 Virden Silty Clay Loam, 0-2% slope, 5.48 Ac., 21.4%; 112 Cowden Silt Loam, 0-2% slope, 4.14 Ac., 16.2%; 307B Iona Silt Loam, 2-4% slope, 3.88 Ac., 15.2%; 184A Roby Fine Sandy Loam, 0-2% slope, .35 Ac., 1.4%; Weighted Productivity Index: 128.1.All NHEL. 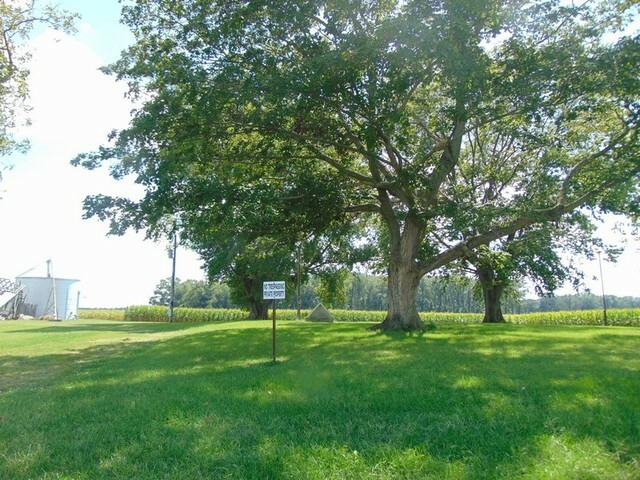 FSA Info: Part of Farm No. 4490, Tract No. 4150. Maps & 156 Records will be posted on www.sellafarm.com under Documents Tab, view anytime. R.E. 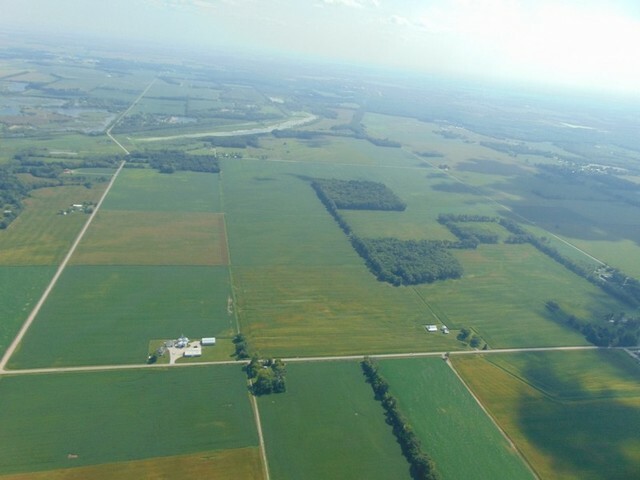 Estimated Taxes (Entire Farm): Lawrence County Assessor Parcel Index Numbers 02-000-162-00 ($1,460.04), 02-000-163-00 ($703.76), 02-000-164-00 ($465.88), 02-000-165-00 ($304.70), 02-000-165-10 ($118.90), 02-000-168-00 ($202.94), 02-000-172-00 ($2,502.50), 02-000-175-00 ($888.72). Total Current Tax of $6,647.44 (approx. 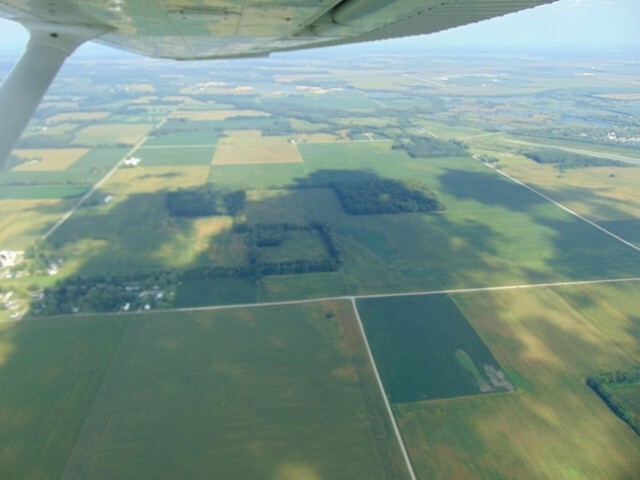 $16.85 per acre). 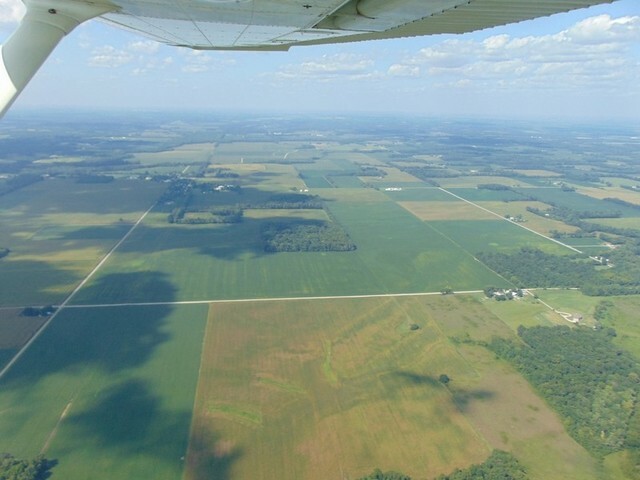 Please Note: If farm is sold separate, courthouse / county will divide accordingly. 2018 taxes, due & payable 2019 to be paid by SELLAFARM, Buyer(s) thereafter. 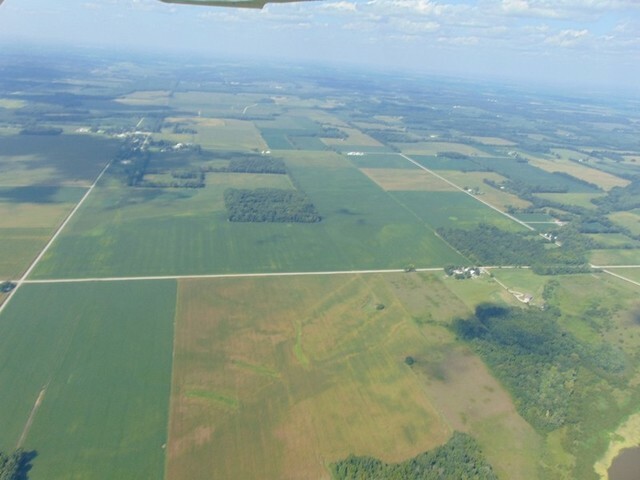 Farm Rights: Current tenant to complete 2018 farm rights, buyer(s) thereafter. Buyer(s) to receive sellers portion of 2018 income. 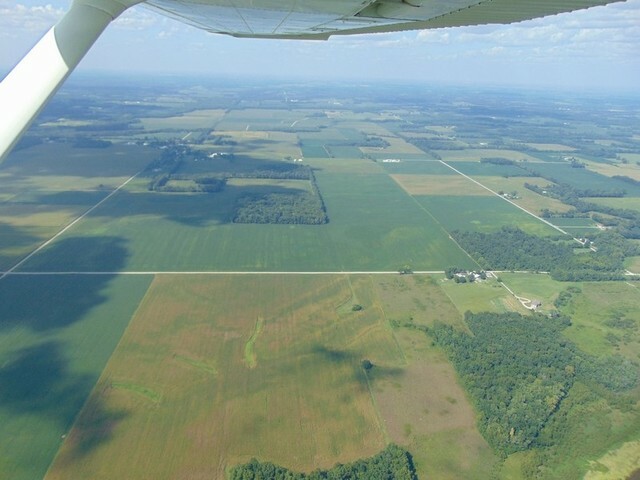 Current Farm Income is Cash Rent with Production Bonus: Cash Rent at rate of $200 per acre or 1/ 3 Share (no expenses), whichever is more. 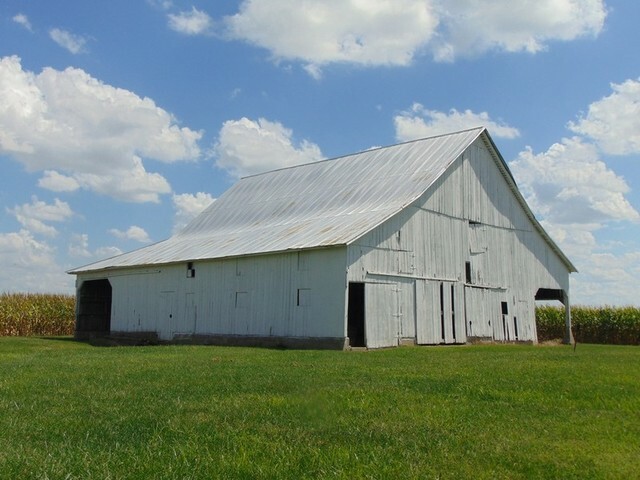 Possession: Possession of non-tillable and tillable date of closing, subject to the rights of the existing farm tenant(s) for the 2018 crop year -or- December 1st, 2018, whichever is first.